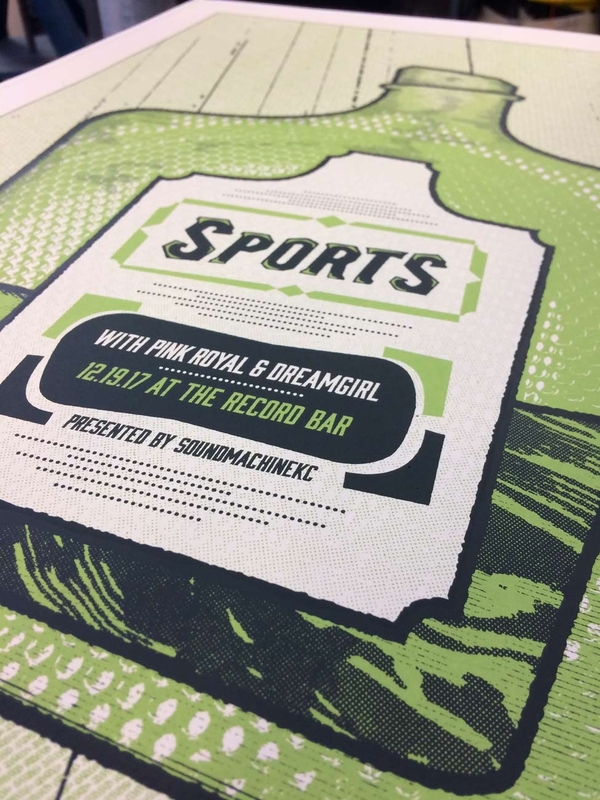 This is a gig poster that I designed and screen printed for Sports. 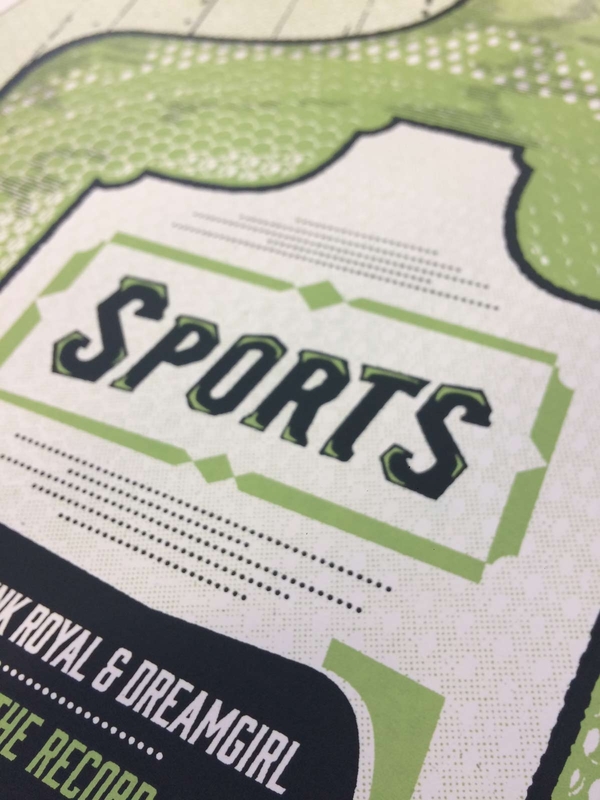 All of the design was done by me, including the main typography and photographic textures. 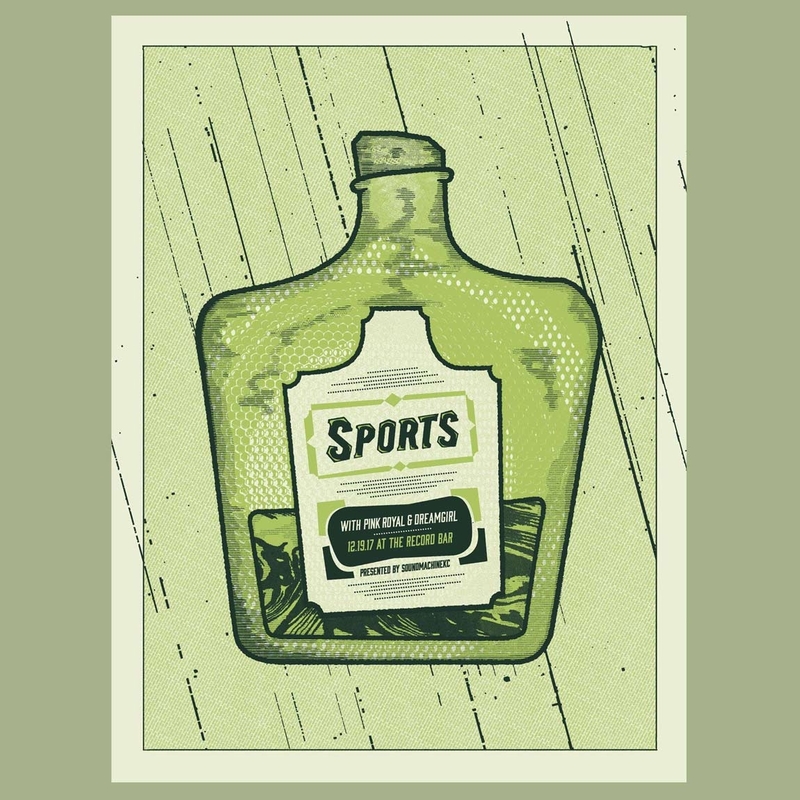 2 color screen print on French Paper’s Starch Mint Speckletone.